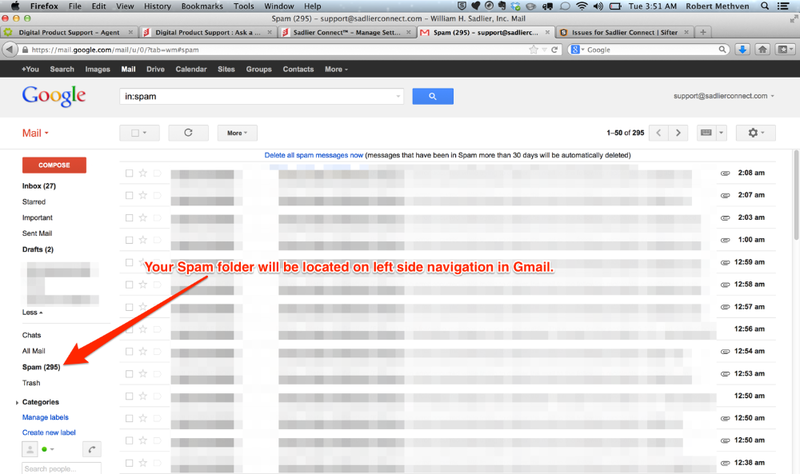 How do I check my SPAM filter (GMail)? You will want to search for emails from support@sadlierconnect.com. If you find an email from Sadlier Connect™ you will want to open the message and then mark the email as not being Spam. You may need to contact your school's network or system administrator to white list sadlierconnect.com so that future emails do not get flagged in your Spam folder.